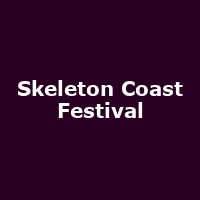 Established in 2016, the Skeleton Coast Festival takes place at Hoylake Parade in the Wirral. Run by members of The Corals' Skeleton Key Records, Coda presents and Hoylake Beacon, the festival promises to showcase some of the best alternative local Liverpool artists across two stages. 2017 featured Cabbage, Jane Weaver and more.